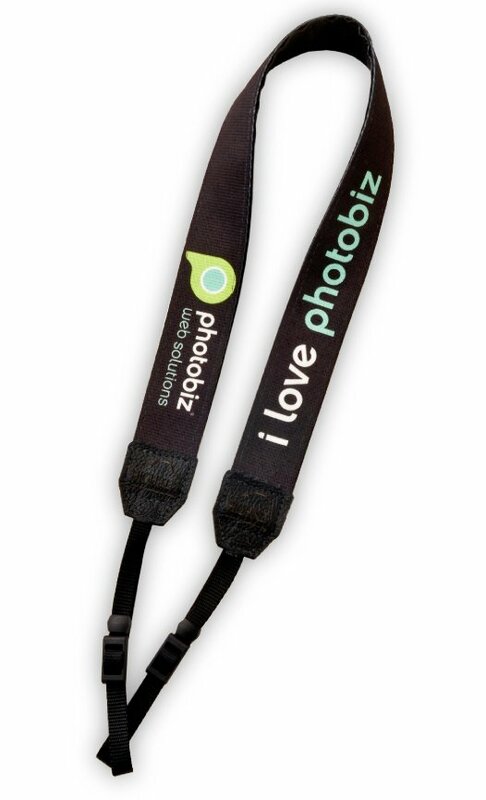 This camera strap is professional strength and made with durable materials. It easily attaches to any camera. The strap is black with PhotoBiz branding.